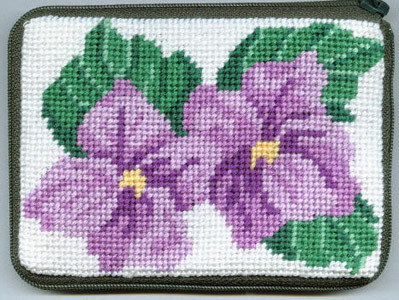 Preassembled needlepoint purse/cosmetic case 7" x 4 3/4". 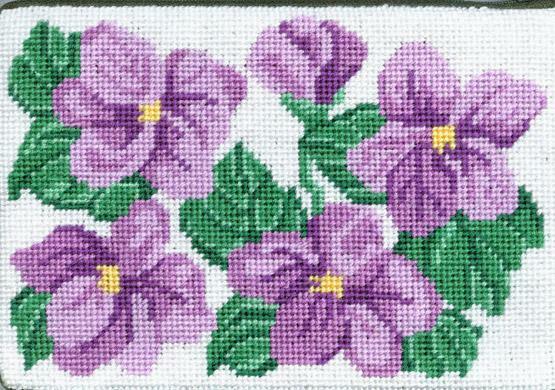 Preassembled needlepoint eyeglass/cell phone case 3 1/2" x 7". Preassembled needlepoint scissor case 2 3/4" x 4 1/2". Preassembled 14 mesh canvas case with thread.